We will undertake fire hydrant testing including flow and pressure testing in accordance with British standards BS: 9990: Part 2006. 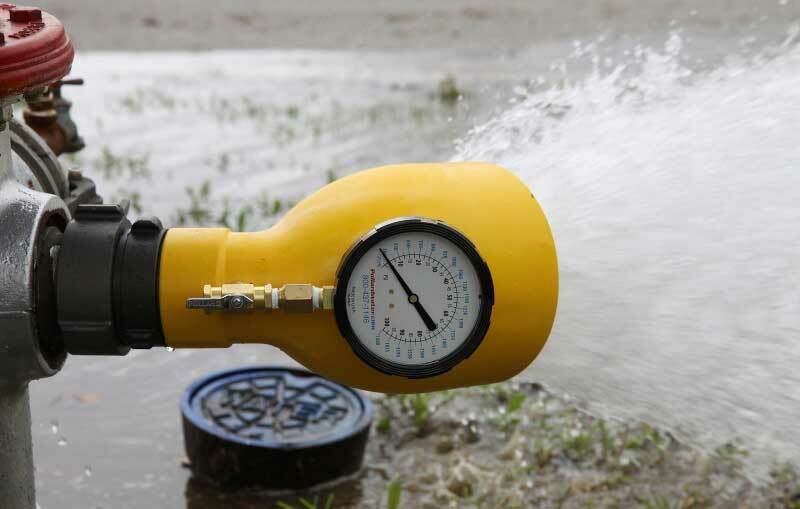 It is a requirement that fire hydrants be tested on annual basis in accordance with BS: 9990 specifications. Also, any premises in possession of a fire safety certificate is required to comply with the annual BS 9990 inspection. British Standard BS 9990:2006 states that all fire systems should be visually inspected every 6 months and serviced annually to ensure that the equipment is ready for immediate action in the case of a fire emergency. ‘FAILURE TO PRESSURE TEST YOUR FIRE HYDRANTS CAN DEEM YOUR INSURANCE POLICY TO BE NULL AND VOID’. It is the responsibility of the business owner to insure compliance with all relevant laws and regulations. Builders and Developers – Residential or Commercial. Commercial &Industrial – Hotels, Factories, Shopping Centres.